Feast your eyes on Jon Allyn ripping some classic Pacific Northwest trails in celebration of our brand new Bachelor Dropper Post. Our PNW dropper still capitalizes on the great reliability of the Bachelor 150, but we’ve added a few more upgrades to make it even more lovable. Haha, Damn, you’re right. The only time he moves up a hill he’s walking. Well, we thought about that but thought seeing a dropper go up and down was kinda boring. Also, it’s reallllly hard getting a shot that isn’t just crotch. Instead we figured showing Jon shredding his Wreckoning which has a 34.9mm seat tube (a diameter the new Bachelor comes in) was way more exciting. seriously, put that thing on a slack seat-angle bike and video the use on a trail with a profile that resembles a 500hz graph. Time-lapse for one year. The video had nothing to do with the dropper post... It was a Welcome to PNW Components video, nothing more... It never once mentioned the dropper post nor was it meant to be an ad for the dropper post. If anyone at PWN is reading this, what is the overal length including the cable actuator bit that hangs of the bottom of the post? 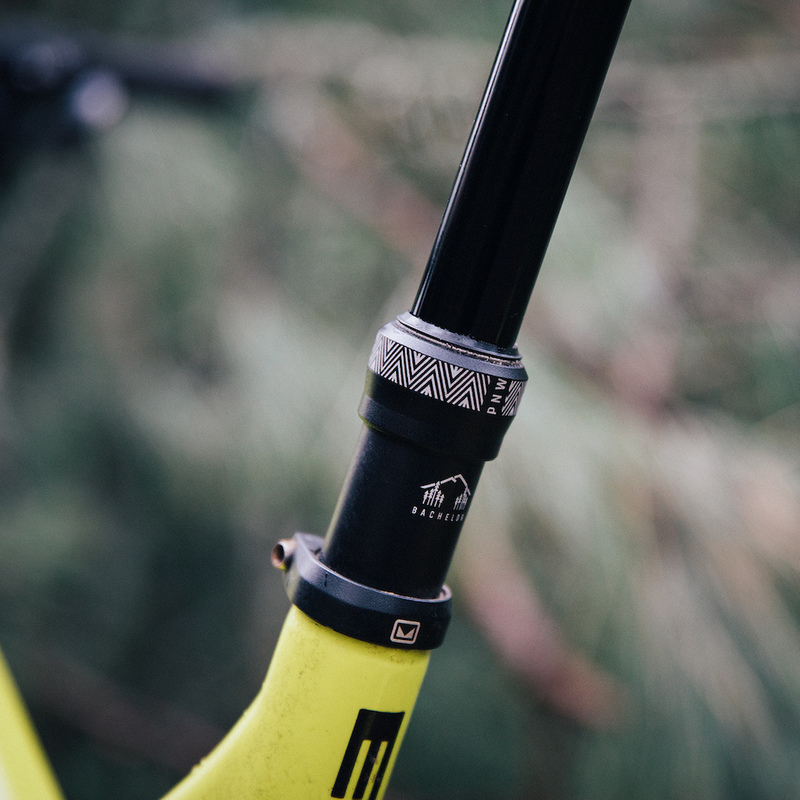 The measurements on the site only measures to the base of the post not the end of the actuator which will foul the bend in the Enduro seat tube restricting insertion. Totally agree, that is important for almost all FS frames that have bent seat tubes. I bought a 150mm Reverb for a Strive medium and it wouldn't fit with the standard Connectamajig thing but was ok with the shorter barb version. Sorry for the confusion! We’ll get our drawing updated today. Our length measurements include the bottom actuator. @pnwcomponents: That was really cool man. Well done. I got to mess around with a buddies Loam Lever the other day. Its really nice. UPDATE: After checking on shipping, import and VAT costs with PNW via FB messenger who were super helpful and quick in responding, pulled the trigger on ordering a 34.9 - 170mm Bachelor for my Specialized Enduro 29. Post arrived from the US to my door (UK) in 3 days via DHL which I was really impressed about and with no extra fees from HMRC or DHL. I was then more impressed when opening the box and seeing the quality of the post, loam lever and even the cable supplied with the post. Fitting was simple and the post has operated the last few weeks fine. 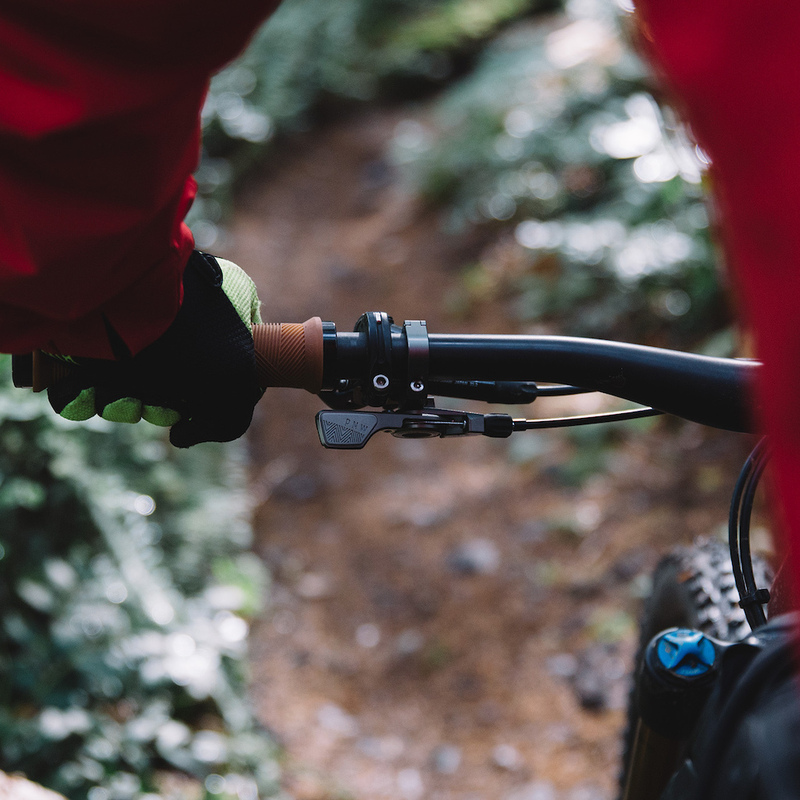 The action to drop the post feels really nice, the loam lever feels solid and smooth and the post hardly requires any force to be pushed down, a super light action. Returning the post to height feels great too via the loam lever and the post doesnt return at a speed which would injure me. Super happy with the post so far. Bruh, Foggy meadows is what we do up here in PNW winter. I struggle a little do figure out the difference between some of the various models. I see price, I see internal vs external, I see the Bachelor has the nice lever, but otherwise I don't get a good feel for the differences between models. I picked up the PNW Components Rainier IR Dropper Post for my gravel bike last summer... very happy. Would be great if PNW made a dropper lever for drop bar's... Yeah? Eventually I'll convert to a 1x drive train and us my front derailleur lever to actuate but for now I have a 2x drive train so I hack'ed a lever from old bike parts in my garage. @pnwcomponents: exceeding my expectations! Nice! @jedi-son: Its a really great solution. Using it right now on my Breezer Radar. Make a 200mm travel version? 9point8 is the only one available right now and mine always breaks. I was perusing the website and I can’t seem to find the option to order the post with the remote with Shimano ispec ii or sram matchmaker x clamp options, or to an option to choose the pad color. Will these options only be offered as add on accessories? Right now they come with the 22.2 clamp and grey thumb pad, but we do offer the MatchMaker and ISpec II adapters as accessories. Starting in April we'll have the posts available with choice of color and adapter style. Always been a big fan of PNW Components. Great products and excellent customer service to boot! Keep on keeping on! We’ve had over 20 PNW droppers on our demo bikes in the last two years, and we haven’t had to send a single one back for warranty. I only wish I could say the same for Fox (5 returns) and KS (too many to count). @stevemokan: Any experience with temps consistently below freezing? Every dropper I've owned but one has had issues with lower temps. Some worse than others. @woodyak: I live in a place that doesn't go above freezing for 5 months of the year. Never had one issue with my bachelor in the 2 years I've used it. Noice! These posts are killer and this company has probably the best customer service I've ever experienced! Is this made exclusively for the mt bachelor bike park.? Clearly Yes, since you can't ride a DH bike at Bachelor. I feel like videos without trail names listed should be verboten. Can you buy it post only with no lever? PNW Components, I think you can do a better video of the Bachelor Dropper post. That wasn't a video of the dropper post, it was just a generic PNW Components video. I'm still interested in their Pine 27.2 for my old rigid hardtail. I live in the PNW (if Victoria BC counts) and I've taken it on just under 10 rides since fall. It's my first dropper so I can't compare it to anything but I can assure you I'm lazy so I don't like dealing with crap parts. So far it has been great. No issues but some very minor seat wiggling (not noticeable when riding). I wish I got the better lever from the get go (I blame my cheap ways) but the one it comes with works fine. I'd recommend it. Really made my hard tail feel like a giant BMX bike. @Savagegorillas: Thanks for the recommendation. It's always hard for me to justify spending money on my hardtail bike since I have a modern FS trail bike I spend most of my time on. So it's still 1x9 and has dented up wheels, but I really should spring for the dropper, because I know it will kick up the fun factor a lot. They put "Yaaas" on the advert. Lame. @pnwcomponents: saying "stiffer & lighter" is merely cliche, but using the word "light" in ad copy without listing the actual product weight is an insult to consumer intelligence, and the best way to guarantee your claim will *not* be believed. If you want us to take you seriously, have enough faith in your product to list the actual weight of a full post, lever, cable, & housing (incl. 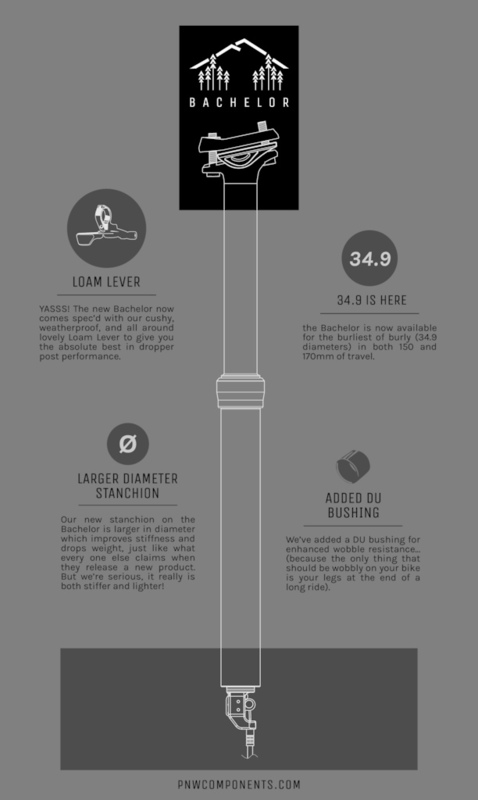 length and diameter specs). You’re claiming PNW is insultIng “consumer intelligence” when they literally take feedback from any of their customers who offer it and incorporate that feedback into their products. I’ve never seen a company that listens to consumers more than PNW. How about focusing on the great aspects of the product which were clearly implemented to combat the complaints many people have about “big brand” dropper posts including rotational play and a lack of stiffness. Not to forget the post comes with their loam lever which is an incredibly high quality product. It even features a reach adjust so you can perfectly dial it in! Why bother writing a long negative rant about one sentence in their article? @kevinridesfelt: well thank you very much for the kind words! 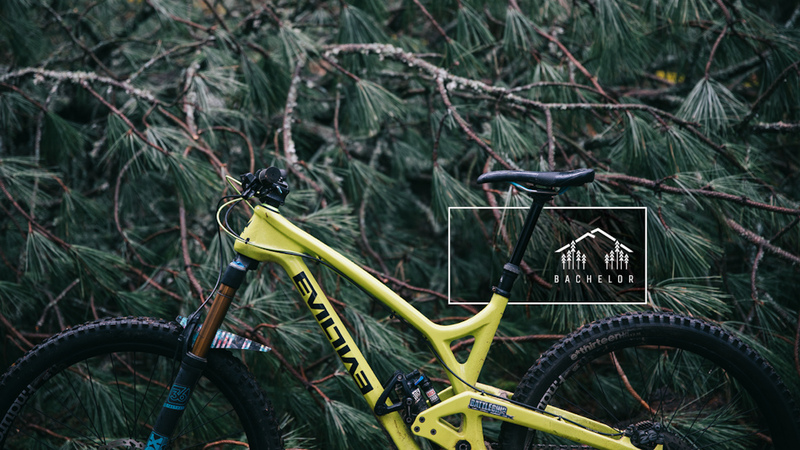 @pnwcomponents: Do you have weights listed anywhere? @stella10: No they don't. Zero.zero info on their website. That's the point: no specs, no sale. @pnwcomponents: Your response gives the lie to empty praise for being a company that "listens." Numbers are easy to publish, why hide them behind marketing copy? Competitors like OneUp provide these specs up front on their websites, I'll be voting w/ my dollars for their brand of responsiveness to consumer feedback.